BRASILIA, Brazil, August 10, 2016 (ENS) – Brazil’s National Space Research Institute, INPE, registered over 53,000 forest fires in the country up to Friday, and warns that the hot, dry weather may make things worse, if law enforcement efforts are not increased. This warning indicates that many of the fires are the result of human activities, such as slash and burn agriculture. Figures from the Forest Fire Monitoring Program reveal a 65 percent increase in the number of fires in the country this year compared to the same period in 2015, reports Brazil’s official news agency, Agência Brasil. According to INPE, the fire season in Brazil is still in its early phase, with its peak forecast to occur in September. For this reason, the population is asked not to set fire to vegetation in this time of year, as human action, coupled with the hot, dry weather, is among the main causes of forest fires. The situation in Acre state, in northern Brazil, is considered critical. A total 844 fires were observed – three times as many as in 2015. 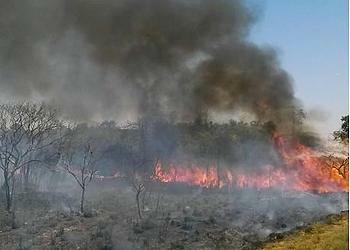 In the neighboring state of Amazonas, fires totaled 3,022, up 284 percent from the same period last year. The Work Group for Seasonal Climate Forecast, of the Ministry of Science, Technology, and Innovation, made estimates for the months of August, September, and October, and predict the aggravation of the drought in the Amazon, particularly in Acre state. The climate may bring the level of water in the Acre River to a record low. If that proves to be the case, navigation on the river will be impacted, and the delivery of supplies to riverside communities compromised.